Irene de Craen (Netherlands) is a writer and curator based in Amsterdam. She is currently committee member of the Amsterdamse Kunstraad (Amsterdam Arts Council), and director and curator of Hotel Maria Kapel, an artist-in-residence, exhibition space and cinema for contemporary visual art in Hoorn. In 2018 she founded the research programme Undercurrents which aims to question the relation between historic and present-day instances of movement such as colonialism, trade and migration, as well as the infra-structure and significance of mobility within the cultural field. Between 2013 and 2015 she worked as a researcher at Platform BK (Platform for Visual Arts) where she is now an active member of the board. In 2011 and 2012 she was co-organizer and curator at FATFORM, an interdisciplinary and experimental art platform in the Southeast of Amsterdam. She has contributed to national and international magazines and websites among others Metropolis M, and Frieze. Louise Osieka (Belgium) is the artistic and general director of CIAP Kunstverein in Hasselt (BE) and organizes a diverse program (exhibitions, as well as public events like lectures, performances and film screenings) by both national and international emerging artists and overlooked local artists. In addition CIAP hosts an arthouse cinema and the artist-run space Schmiegd and organises several trips for their engaged members. CIAP is a member of Very Contemporary, an Euregional netwerk of 11contemporary art institutions and ICOM Belgium, the international council of museums. Osieka is a member of the advisory committee audiovisual arts for the Flemish Government and 1 of the 4 advisors for its art collection, member of the artistic board of Contour (biennial of moving image), board member of Cas-co (residency and workspace for visual artists and hybrid cultural producers in Leuven), member of the advisory board of Superdeals (project room and artist residency in Brussels) and member of the advisory board of the art journal De Witte Raaf. In 2016 Osieka represented Flanders in an international curatorial research trip to Iran and Armenia in collaboration with Kunstenpunt, Mondriaanfonds, Pro Helvetia and the Danish Art Council. 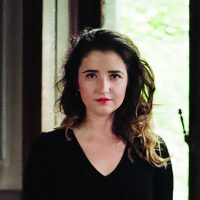 Maayan Sheleff (Israel) is an independent curator based in Tel Aviv, as well as the artistic advisor of The Art Cube Artists’ Studios in Jerusalem and the founder and curator of its international residency program, “LowRes Jerusalem”. Her projects take a reflexive approach towards participation and activism. She is currently studying for a Practice-Based PHD at the Curatorial platform, the University of Reading (UK) and ZHDK (CH), exploring the use of the collective human voice in participatory practices. Some of her recent projects include “The Infiltrators”, exhibition of participatory projects with African Asylum seekers, at Artport Gallery, Tel Aviv (2014) and “Preaching to the Choir” at Herzlyia Museum in Israel (2015). She teaches in various academic institutions and her latest publication was Fear and Love in Graz, (in:) Empty Stages, Crowded Flats. Performativity as Curatorial Strategy, performing urgency #4, Editors Florian Malzacher and Janna Warsza. 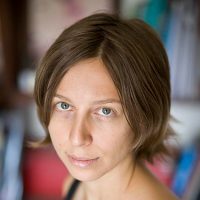 Viktória Popovics (Hungary) is an art historian and curator working at the Ludwig Museum – Museum for Contemporary Art Budapest, where she contributed to several large-scale exhibitions. 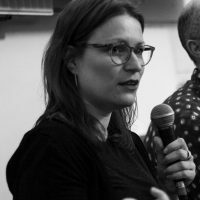 Her most challenging curatorial experiences include exhibitions focusing on conceptual artistic practices of Central and Eastern Europe, such as City Theater (a part of OFF Biennale Budapest, 2017) or Ludwig Goes POP – The East Side Story, which concentrated on pop art tendencies behind the Iron Curtain. 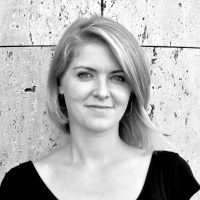 Since 2012 she is PhD fellow of the Eötvös Loránd University Doctoral Program. Focal point of her academic research is the attitude of the post-1989 artists’ generation to the neo-avant-garde legacy of the 60s and the 70s. As acurator she is interested in the emerging art scene of the region and how the current social, political and economic turbulences appear in contemporary visual culture. Alireza Labeshka (Iran) is a curator whose main concerns are the public domain, the city’s urban/architectural transformation, and their socio-political associations. He is currently PhD candidate in Frei University of Berlin and obtained his MA in Art Research from Tehran Azad University. Besides being the chief curator of KAAF Institute in Tehran, Alireza is one of the directors in non-profit association called Raf Projects e.V. defining curatorial projects internationally. 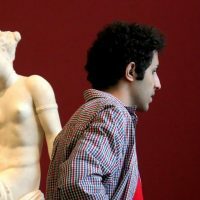 In terms of curatorial experience, he carried out projects with art venues, including ZK/U, Erstererster Galerie and CLB in Berlin, M.I.A Gallery in Seattle, as well as curating exhibitions for Iranian galleries like Sareban, CC Isfahan, Jorjani, KAAF Institute and The Tehran Museum of Contemporary Art. He has written various articles, exhibition catalogs and art reviews for several art magazines (Golestaneh, Shabakeh Aftab, Tandis and Mokkab) and for the book “A Reader About Art in Iran since 1960”. Alireza has also given lectures and participated in panel discussions at the Akademie der Künste, Hertie Governance University and Box Freiraum in Berlin, W3 Hamburg, CCA Warsaw, and Science & Industry University of Tehran. Verein K is an independent arts and cultural organization from Vienna, founded in January 2018. Verein K focuses on projects in the field of contemporary art and culture connecting diverse cultural and social interests: critical approaches to contemporary art, creating curatorial platforms as well as enabling innovative cultural practices including diverse social groups.